FoLinda Vista~Annandale residents are asked annually to show their support for the neighborhood association that has advocated on their behalf since 1930. This advocacy has made a positive impact on our neighborhood for over three-quarters of a century! 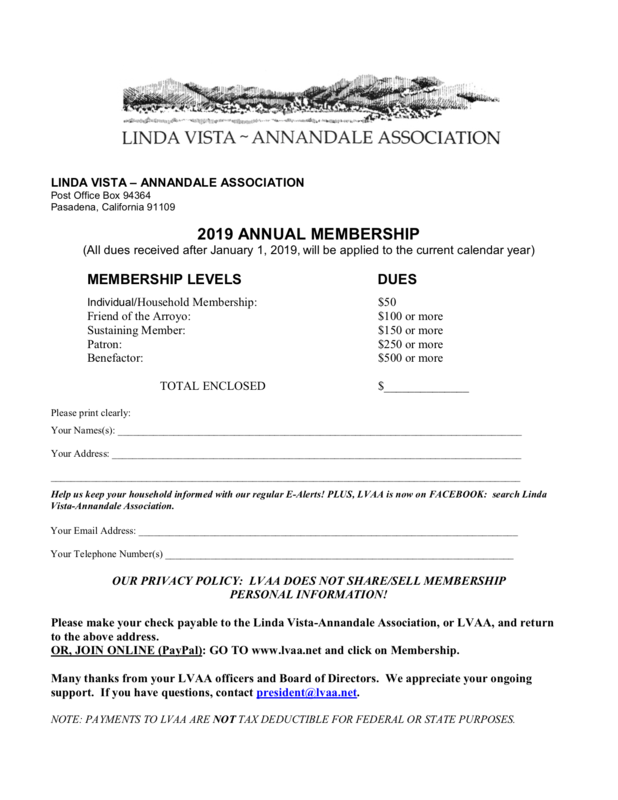 If you are currently a member of the Linda Vista~Annandale Association, we thank you and urge you to take a moment to renew your membership. 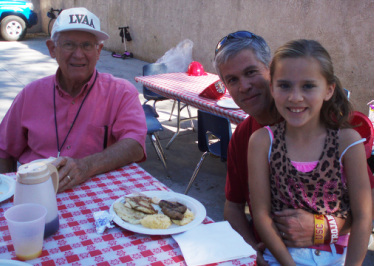 If you are a Linda Vista resident, but not a member of LVAA, now is the time to join during our annual membership drive. LVAA President, Nina Chomsky, writes, "Our many and diverse activities center around a central theme: preservation, protection, and improvement of one of Pasadena's premiere single-family neighborhoods, including enhancement of our quality of life and sense of community." To ensure sufficient funds for these efforts over the next year, your immediate response is needed! Download our annual ​Membership Form to join or renew today. All new memberships and/or renewals received after January 1, 2019, are valid for the 2019 calendar year. For more information about LVAA, it's impact, advocacy and efforts download the Membership Letter. Download and complete the membership form, then mail it to LVAA, P.O. Box 94364, Pasadena, CA 91109, along with your check made payable to LVAA. Online payments via credit or debit card can be made using our secure Paypal link below. If you use this option, you are not required to mail in a completed membership form. Note: All membership payments made via our Paypal account will be applied to the 2019 calendar year. ​PAYMENTS TO LVAA ARE NOT TAX-DEDUCTIBLE FOR FEDERAL OR STATE PURPOSES. Please direct all membership questions to president@lvaa.net.